A népszerű és nagysikerű Mesterszakács sorozat most Amerikába is elérkezett. A méltán híres séf, Gordon Ramsay vezetésével most 14 önjelölt szakács ragad fakanalat, és méri össze a tudását, a negyed millió dolláros főnyeremény megszerzésének és egy saját szakácskönyv kiadatásának reményében. 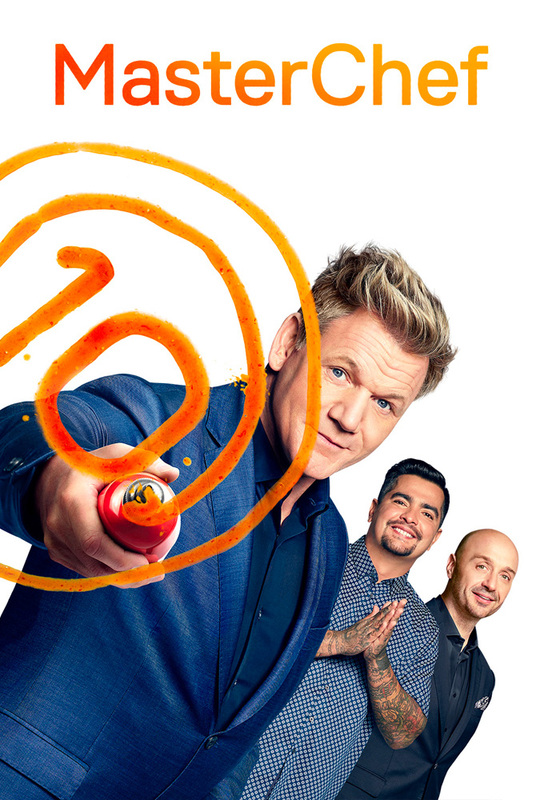 Judges Gordon Ramsay, Aarón Sánchez and Joe Bastianich each will have eight aprons to hand out to the home cooks whom they deem worthy – and they then will mentor those contestants throughout the competition. The judges each will have eight aprons to hand out to the home cooks whom they deem worthy. Forty-three of America's finest home cooks compete in the MASTERCHEF Battle of the Apron challenge, during which they will face off against each other to earn a spot in the Top 24. Then, in the first mystery box challenge of the season, the Top 24 must prep, cook and plate one dish featuring an ingredient unique to each of their home states. Find out who will be heading home. In the first mystery box challenge of the season, the Top 24 must prep, cook and plate one dish featuring an ingredient unique to each of their home states. In the first skills test of the season, MASTERCHEF host/judge/executive producer Gordon Ramsay teaches the home cooks how to properly break down a crab, before the contestants must replicate his work. The contestants whose skills don't cut it, face an elimination challenge during which Ramsay will show them how to make his signature Crab Benedict dish. It is then up to the judges to decide who stays and who goes home. This week on MASTERCHEF, the Top 20 venture out of the kitchen and head to the historic Anheuser Busch brewery in Los Angeles for their first team challenge of the season. The two teams must cook a beer-infused lunch for more than 100 employees at the brewery who will each place a vote on his or her favorite dish. The team that receives the least amount of votes will head back to the kitchen for a banana cream pie pressure test that will determine who will be eliminated. The contestants face a mystery box challenge where they must create a dish using one common ingredient – walnuts. The winner will receive three huge advantages. Later, the MASTERCHEF kitchen welcomes American soccer legend and FOX Sports Soccer Analyst, Alexi Lalas, who will introduce a street food themed elimination challenge that involves popular food among soccer fans in various countries. Then, it is up to the judges to decide who will head home. The contestants head to Malibu, CA, and cook for MASTERCHEF Season Seven winner Shaun O'Neale's wedding – with MASTERCHEF host and judge Gordon Ramsay officiating! After splitting into two teams, the home cooks have limited time to prepare and cook 51 appetizers and 51 entrees for guests in attendance. Then, it is up to the judges to decide who will stay and who will head home. In this week's first challenge, the contestants face a mystery box filled with fresh seafood and must create a dish using two items from it. The chefs who fail to impress the judges will face an elimination challenge and be asked to upgrade one of the most popular frozen dinner dishes, Salisbury Steak. The Top 15 contestants are split into eight teams (with Joe joining one team) to cook a chicken dish. The losing contestants then compete in a Souffle pressure test. The Top 14 contestants are split into two teams to compete in a fine dining challenge and are to cook 39 dishes for a group of very discerning judges who have big expectations. Contestants are surprised when diners are revealed and forced to scramble and alter their dishes to accommodate the guests. Ultimately the winning team's recipe will be printed in Family Circle Magazine. The losing team will compete in a cupcake pressure test with special guest and pastry chef Christina Tosi. The judges will decide who will stay and who will be sent home. The Top 13 contestants face a mystery box challenge with a stockpot and cooking oil and are tasked with making a dish that features a deep-fried element. An extra layer of pressure is put on the contestants as the judges cook alongside them. The winner of the challenge receives a major advantage in the elimination challenge – a citrus-centered dish. The judges then will decide who will stay and who will be sent home. The Top 12 face their third skills test in the MASTERCHEF kitchen and replicate the proper way to break down a halibut. Those who fail to impress the judges are then tasked with creating a stunning original dish using their broken-down fish. Some contestants yield a bountiful filet, while others offer up a poor portion of protein. Ultimately, the judges will decide who will be left floundering and sent home. The remaining home cooks split into two teams and are tasked with serving 100 dishes to hungry airmen in celebration of the 100th anniversary of the March Air Reserve Base. The contestants are told they will be competing in the dreaded Tag Team Challenge. The seven remaining home cooks will divide into two teams and race against the clock to serve restaurant-quality dishes to 25 California firefighters. The six remaining contestants face a Mystery Box challenge filled with waste – literally. The home cook who makes the best dish from food scraps will be safe in the elimination challenge, during which they'll take on another Mystery Box Challenge – but, this time, with all the best and freshest ingredients. The Top Six face the Restaurant Takeover Challenge at Providence in Los Angeles. The home cooks split into two teams and must feed a dining room filled with 48 guests. The judges will evaluate each team's performance and the losing team will face the challenging pressure test, after which someone will be sent home. The Top Five home cooks face a series of pressure-filled skills tests using an incredibly common protein – beef. The judges will decide which contestant will claim a safe spot on the balcony and who will face another culinary test. The two weakest home cooks go head-to-head to claim the final spot in the Top Four, while the other will be cut.. The final four are split into two teams, and will need to cook one incredible entrée for the judges' mentors – Chefs Daniel Boulud, Jonathan Waxman and Lidia Bastianich. The judges will choose which winning team will move on, leaving the final two to battle it out in a do-or-die pressure test. The three remaining home cooks will face their final challenge when they are each asked to prepare a three-course menu for the judges. The home cook with the best overall menu will be crowned the winner.